HBO intends to put a huge reverse spin on Kennedy assassination conspiracy theories with a 10-part miniseries adapted from Vincent Bugliosi's very weighty debunker. Big Love star and Fort Worth native Bill Paxton launched the project by bringing Bugliosi's 1,612-page book to the attention of Tom Hanks and Gary Goetzman, who co-produce HBO's life and times of a Utah polygamist. 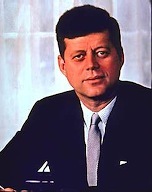 They'll now collaborate on Reclaiming History: The Assassination of President John F. Kennedy, HBO announced Tuesday. Paxton was eight-and-a-half years old when he went with his father and 11-year-old brother to see Kennedy and his wife, Jacqueline, at a Fort Worth Chamber of Commerce breakfast on the morning of Nov. 22, 1963. "This is the greatest story that's never been told," Paxton says in an HBO publicity release. "It's a story that has haunted me and my generation our whole lives . . . Now, with the 50th anniversaries of President Kennedy's inaugural address and assassination looming in the next few years, we felt it was the right time to pursue this project." 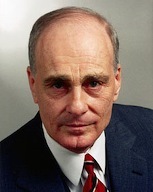 Bugliosi, who also authored the bestselling Helter Skelter after prosecuting the Manson family murders, is a true believer that Lee Harvey Oswald was the lone gunman in Dallas. "Seventy-five percent of the American public believes in the falsehood that there was a conspiracy in the assassination of President Kennedy, and only 19 percent accept the findings of the Warren Commission that Oswald acted alone," he says. "I'm confident that we can reverse those numbers and finally bring the truth to the American public." Oliver Stone's 1991 film JFK, partially filmed in Dallas, was a powerful persuader otherwise for many Americans born after the assassination. HBO Films president Colin Callender takes no pro or con position in his statement, saying only that Bugliosi's "riveting book will make a very powerful transition to the screen." There's no cast or projected air date yet.